Work for Oracle Compute Cloud Service? Learning about Oracle Compute Cloud Service? "Oracle Compute Cloud Service ( IaaS) is the best for IT Infrastructure Solution "
Oracle Compute Cloud Service helps us to reduce the CAPEX investment and also the OPEX as well. We already shift our small applications into the IaaS cloud service ; We have done a big job that is Mail server is running from Oracle Compute cloud service and it reduces our operational maintenance cost. We have done a Disaster recovery system that is in Hybrid model on oracle compute Cloud service ; our EBS Application has the Secondary option on cloud compute instance and Database as well on PaaS service. IT helps us a lot , anytime we can scale up and scale down the instance , any shape and any images that we can provision here. Still Upgrading some features, Rapidly changes some features as Oracle trying to beat amazon , OCI introduce recently where as the old users are still using Classic service and the changes will effect some technical understanding to the users . It has still some environmental error certainly occur while instantiate some tasks but it is nominal and fixed automatically. It is a very useful service for any company who are think about the Future technology because according to the Gartner by 2025 all the enterprise solutions will move the Cloud ; so this is the right time to introduce with cloud and comparing the price and other facilities Oracle Compute cloud is still better rather than others service provider. OPEX investment reduce on our business for implementing oracle Compute Cloud Service. We have many small applications that are running on premises server and to maintain the server is a cost effective also in a risky position regarding the power consume and management. we deploy those small applications on to the cloud , so as an Admin I am totally relax regarding server management. All are running in Cloud VM ; we also implemented Hybrid Cloud Solutions and our oracle enterprise Applications DR is running in Oracle Compute Cloud service which ensure our application with 0 downtime . also the security measures resolved after moving to the compute cloud. "Oracle Cloud Infrastructure Compute review. " it is being used to upgrade from our current ERP system to the next, which is completely cloud-based. Our servers (web, applications, databases, monitoring servers, etc.) will be maintained in Oracle's cloud infrastructure. Whether it will be a public or private cloud will depend on the type of environment, the interested parties and the facilities offered for both clouds. 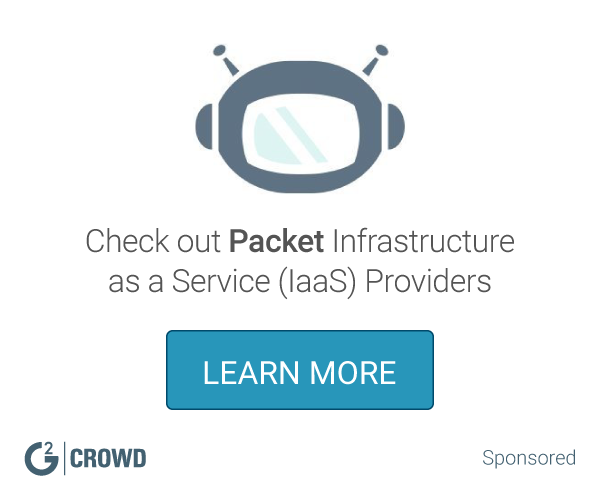 IAAS (Infrastructure as a service) is not a customizable solution. It is a preconfigured system that sometimes adjusts to customer expectations but differs greatly in diversity. In addition, Oracle's private clouds are not delivered "as a service". This solution is a rental that can be modified, but is subject to hardware and software parameters, during a specific rental period. Oracle's IAAS might work well for small organizations with less cloud computing and scalability requirements. This will result in less manual labor and considerable reduction in IT costs. It has solved an important infrastructure problem because we no longer have to worry about managing the life cycle of the application or technology, and it can escalate the JDE ERP offer as users migrate to consolidation target instances from instances inherited. "It's an highly reliable and cost effective infrastructure service. " It fulfills all the necessaties that is essential for the infrastructure of cloud data-center. From computing of highly complex tasks to storage and sharing of cloud data. It is highly responsive cloud infrastructure. It also have user-friendly interface with lots of multilple helpful features. Pricing strategies are also very much on point and reasonable. It shows some bugs while working at different screens. It's a little outdated or bit behind in functionality than other such service providers but they do still are making effective upgrades . It is also not much compatible and takes time to fit in a already working environment. It is very much cost effective in terms of computing. It could enhance the computing and in this way lots of IT cost could be saved. It is very much reliable and efficient to link it with other oracle products. Not much IT support is required ,so in this we could be saved from all the hustles and ultimately saves lots of time and expenditure. "Easy to manage modules and gears." It has an intuitive and easy to use web interface, as well as an OCI client if you need to automate, we use Oracle Compute Cloud Service for fast and easy to use websites that do not require much continuous development. For example, we use it if a customer needs a direct access website without much real functionality, or simply a basic website. For large-scale applications, it can be difficult to manage the load by provisioning gears within the same host. The unique platform supports multiple technologies, web cartridges and additional cartridges, which helps application teams avoid unnecessary time spent installing and acquiring software. It was used to facilitate research and development within the front-end development team. It allowed front-end developers to quickly create development environments using prebuilt cartridges without the need for support.
" Great customer service. " Easy to implement and set-up services in oracle cloud platform. Easy for maintenance like applying patches, auto back-up on cloud storage and local storage. Auto Extend Data Storage on existing local storage process needs to be little improved, it's not smooth to create the extension of data storage on local. It is very well best suited in place where people are using Oracle Data Warehouse and Oracle application tools, and also where they are planning to move to cloud platform. Our organization is using it for the BI data warehouse and is helping to have the Oracle database in the cloud with a very quick and easy step process with the configuration of the database environment. This database is helping us build our cloud data warehouse on Oracle's cloud platform and make pre-defined and ad hoc BI reports in the cloud. "Consistent, predictable performance and scalability for our environments. " The technical support is very satisfactory. The performance is good enough to meet our requirements. Oracle provides highly scalable solutions. The visual network designer would help to ensure that the configuration matches the intended design. In addition, the automatic and apparent migration of OCI Classic virtual machines to OCI would show that Oracle is taking the infrastructure service in the cloud seriously. Very suitable for executing Oracle database workloads. Native Microsoft SQL Server support would allow you to compete seriously in the IaaS market. Oracle has helped us save space, since we do not need to use real computers. The time, since configuring them is quite fast. Money, a virtual machine will work just as well as a real computer, and Oracle should be your best option in this case. "Good Speed and Reliability. " I like the ease and speed of the service, Oracle Compute Cloud infrastructure as a service (IaaS) and data as a service (daas), has exceeded our expectations. It has increased productivity with our staff and increased the speed of delivery to our commercial customers. The price is a bit expensive, but other than that, it is a fantastic service. The Oracle features are easy to implement and we have seen a significant increase in productivity, if we had to make a decision today, we would choose Oracle Cloud without hesitation. Oracle cloud has increased business agility, reduced costs and reduced complexity, we now have fewer physical servers, which has reduced costs. Our DR strategy is significantly better and cheaper. It is reliable, quick access and easy to customize, it is easier to operate a workload without having to buy, manage and support the underlying infrastructure. a lot of different services that instantiate Oracle products in the cloud. More improvements are being worked on by Oracle to improve cloud computing, Oracle systems do not share computing resources and need to be scaled in those areas. a good interface that offers many features, reliable SLA and good network delivery of global content, good prices and the possibility of migrating licenses in the cloud. Cost reduction since no scalability is required from the side of the IT infrastructure. Oracle Cloud Infrastructure combines the utility of public cloud optimized security and cost-effective infrastructure services. Complete integration time as onboarding was a huge task. To format and back everything up without errors was a major hiccup. Having all of our laboratory hard data backed up and secured is awesome. We just recently weathered a storm and was not worried once about data lost. From my experience using oracle is had always been fairly easy to use and maneuver. Items I’ve viewed have stayed true to originals and where usually always available for viewing.
" A great product overall. " The best thing about Oracle Cloud Infrastructure Compute is its great capacity to contain and create databases that are so big, reliable and safe, it is relatively easy to use and has a wide range of functions. It is also extremely customizable. It's a little bit complicated. It has many different characteristics. My opinion is that you definitely need tutorials or training. Easy to provision. Agile and flexible solution with predictable service cost. Oracle Cloud Infrastructure Compute allows you to connect customer interactions with brands easily, no matter which channel the customer used to interact with the business. "Powerful and scalable technology. " It is the fastest and most complete way to create, implement, change and manage custom web and mobile applications. It has a great user management system, feedback system. The fastest delivery product for the customer. The price could be cheaper, because when you try to make a simple project you have to buy a large license. Great support, easy to learn, fast development. 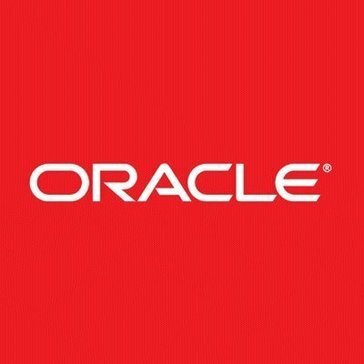 Our goal is to migrate all legacy systems to Oracle Cloud Infrastructure Compute. More than half of the process has been completed. The developers love it; The customers are delighted Fast and reliable. "a good interface that offers many features. " We are using Oracle Cloud in development environments, production environment for internal applications and demonstration and proof-of-concept environments. In general, I like your actionable information reports and customizable panels. Billing can become a problem because it is extremely granular and is divided to reflect the precise use of the services. Well suited for production environment and accounts. Less appropriate for financial reporting requirements of certain geographies. We are using Oracle Cloud IaaS throughout the organization to offer new products to customers quickly. It really helps to avoid the need to acquire additional hardware to start projects. The ease with which you can create a copy of a volume from a machine and attach it to a new instance. We were able to get external help from their partner ecosystem to help us with PeopleSoft and Hyperion. The user interface for the console is a bit limited. They are working on that. Excellent price and performance and a very responsive team. It has allowed us to quickly address the concerns of potential customers and at the same time provide internal comfort to our technical teams to address precisely those concerns. "platform for the rapid deployment of servers on demand. " We can automatically scale our container engine clusters easily based on CPU usage or resource reservations. I think the documentation, while substantial, is not always as clear as it could be. It would be nice to see examples or improved tutorials. The configuration of new environments is simple. They also offer recommendations when it is necessary to update an instance to improve performance or download to save money. It addresses the problem of providing solutions to customers who need a comprehensive infrastructure solution for web services and applications. Simple and easy integration of the work of several programmers, high availability and variety of images with operating system configurations. Sometimes there is a lack of documentation. Long queue of errors that are not attended to for longer periods than desired. Everything is accessible in one place. Moving projects and dependencies is very easy. The easy multiplatform development with a consistent runtime environment allows for quick deployments and confidence in test capability. "Great experience working with Oracle Cloud Infrastructure (OCI)"
OCI provides Super fast performance. End-users have been very happy with the ease of use and performance. OCI has great performance. End-users have been very happy. It is a good program. I use it as bare metal instance what means that I use the physical hardware and not the virtual machine services. It makes my jobs run very quickly. Honestly there is nothing I dislike. I haven’t tried the virtual machine services. I am using it for every day jobs, like calculating for example. "Excellent platform for VM scalability"
Availability of multi-core VMs with the option to configuring the storage space required at a very competitive pricing. The 'Virtual Machine DenseIO' instance comes with local MVMe SSD storage which works great in high performance computing environments. The console and API set provided for access could have a more user-friendly interface. Great and secure cloud compute instances. Used Oracle Cloud Infrastructure Compute to create a scalability environment to test a new network monitoring system. It has proved very beneficial in terms of configuring and scaling the VMs in our test environment with minimum overhead. "very easy to implement instances on OCI"
"Helpful for a big team in multiple locations"
Extremely useful for the retrieval of information used among my team, who are location in different locations domestically and internationally. Easy to use as all the information and data are located in the cloud. In addition, able to store a large amount of data without any problems. Nothing to dislike here - except maybe improve the excel addin function for better efficiency. Ease of access of large sets of data and information. The cloud compute components appear to be designed by different groups. Ex. when using the Container platform, it's seperated from compute. The vms created for containers do not show up under compute. Give it time. Things seem to be coming along. It was evaluated for moving workloads to the cloud. Really cost effective if you are entrenched in Oracle products. Not as many services as AWS. Not as great in AI as GCP. Really good for hosting Oracle applications or applications running Oracle database. * We monitor all Oracle Compute Cloud Service reviews to prevent fraudulent reviews and keep review quality high. We do not post reviews by company employees or direct competitors. Validated reviews require the user to submit a screenshot of the product containing their user ID, in order to verify a user is an actual user of the product. Hi there! Are you looking to implement a solution like Oracle Compute Cloud Service?